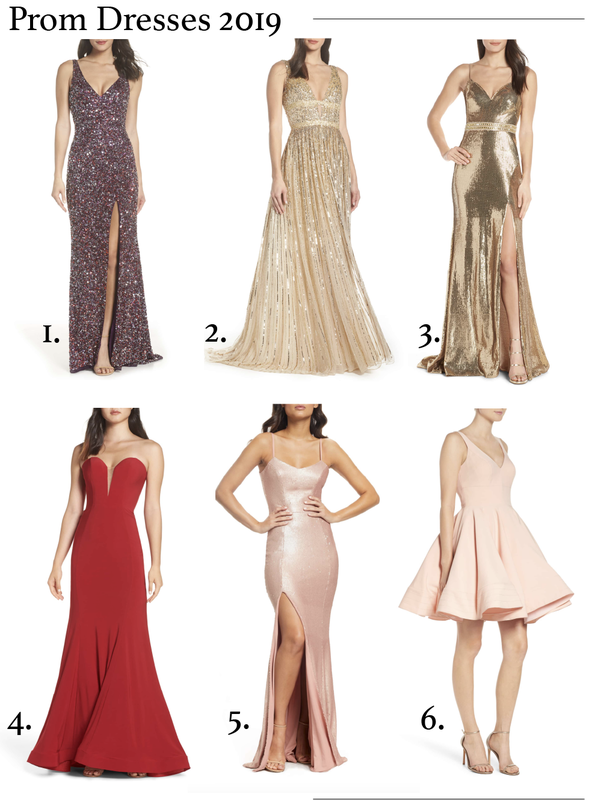 Today I am so excited to be partnering with Nordstrom to share all of my favorite dress options for the upcoming Prom season! Ah, I remember shopping for my prom dresses like it was just yesterday. My FAVORITE time of the year when I was in high school! I remember my mom always being overwhelmed, so I basically shopped all over online by myself and found what I liked and then we would order a few options. Depending upon where you live, it can be really hard to find a store close to you that sells a good variety of prom dresses. It's not a secret that I love Nordstrom for many reasons, but one of them being the fact that they have free shipping and returns. So, order whatever you want, try it all on in the comfort of your own home, then send back whatever didn't work! Granted, I'm a pregnant mother of two, so I won't be attending prom myself LOL, but I'm hoping that this post can be helpful for any parents that may read my blog that have daughters attending this year, and anyone attending prom that stumbles upon this post. I've found a lot of gorgeous pieces from all price points! PS: If you're pregnant, the dress I'm wearing in these photos is perfect for a stunning maternity session! I went up from an xs to a small. You can actually buy this dress for prom and then later wear it to a wedding, any formal function, a party, baby shower.. the possibilities are endless! Plus, it's only $84!! Awh, I miss going to prom! Love those dresses! My fave would be probably number 4!